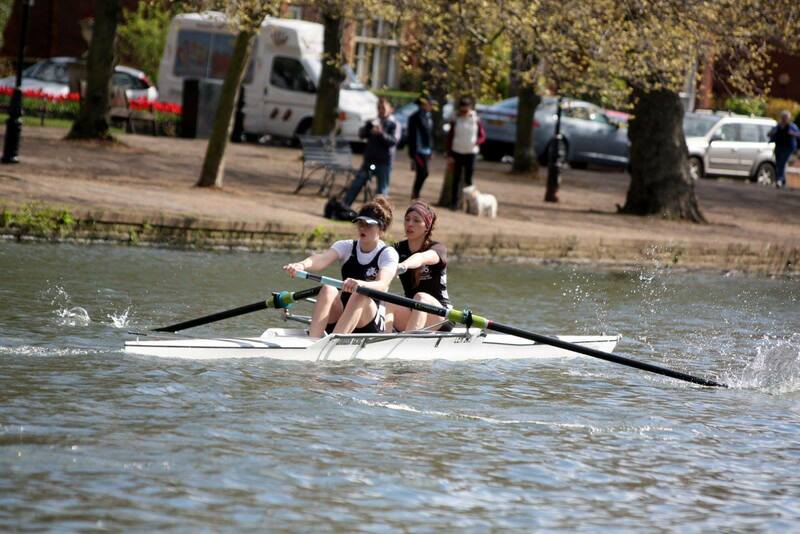 Our latest rider profile features Greer, 26 who I met though my younger sister Katie, a keen rower. Katie and Greer rowed together as a pair for Leicester Rowing Club and when Greer decided to take up cycling I took her under my wing and we have since formed quite a nice group of six who ride together once a week. Riding as a group is great to improve, and the time always passes much quicker to make training feel much easier. 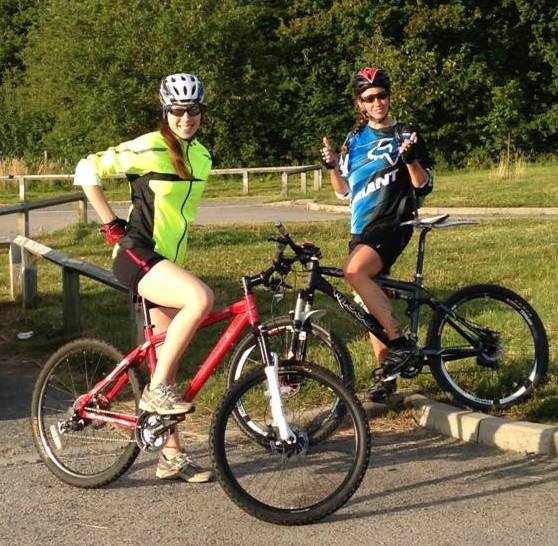 We have done lots of cycling together this summer on the road as well as some time trials and some mountain biking too. I spoke to Greer a little about her journey with cycling to date, as you can read below. Having read through this interview a few times, I think the enthusiasm to try so many different things really comes across! We have so many plans and most certainly not enough time but were certainly in training to do lots more next year. Around a year. I had a mountain bike I was riding last summer and then I got a road bike in Autumn. I used my turbo trainer over winter and then got out more this year. Two years of intensive rowing training and competing (and lack of stretching/recovery) progressively destroyed my back and glutes, and after one-too-many deadlifting sessions I knew I’d done some real damage. 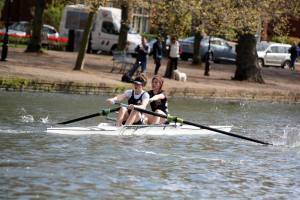 Rowing became impossible and I was gutted. So, I turned to cycling, simply because it’s considered one of the best forms of supplementary cross-training for rowing and with all the leg work that I’d built up in rowing I believed I could transfer some decent fitness to the bike. Getting out on the roads and travelling for miles also makes such a nice change to trudging up and down a short stretch of river (Leicester’s river is a bit tiny and weed-clogged). It also saves the skin on my hands! What sports were you doing before cycling? As I mentioned above I transferred to cycling straight from rowing, but before that I had been a competitive swimmer for about 6 or 7 years and I’d also done a fair bit of cross-country and track running. Oh and I’d done some karate, horse-riding, skiing (utterly useless) and trampolining too. I’m still tempted to try a triathlon and I really really want to have a go at wake-boarding. I just love sports and want to do all the sports. I need more time in my life! What sort of cycling do you currently do? My work gets in the way of me going out as often as I’d like but for a few months now I’ve been out on my road bike with some uber beasty girls trying to get confident with (a) being clipped in, (b) turning right (yeh, really), and (c) getting down on the drops. Hill climbing is my absolute favourite part of cycling. I like pushing myself to that point of feeling as though I’ve got nothing left and can’t carry on, simply because your body will always give you more if you dig deep enough and that amazes me. I’ve also just had a go at a baby mountain bike circuit and I LOVED IT. Clipping in (still a bit useless) and being brave enough to try my first time trial! I was petrified, mainly because I have never been out on my own (I hate junctions) and I was pretty convinced I’d get lost. But I didn’t get lost, I coped with the junctions fine because there were really well-placed marshals and every time I did the time trial I knew I could go faster the next time. It became pretty addictive. Is there any advice you would give to new cyclists? Miles in the saddle = better cyclist, simple as that. Also, get in with a good friendly group who will look after you if you get stuck or left behind. Some groups advertise that they welcome newcomers but I’ve heard some stories about people being dropped from the group and left in the dust. Clipping in and super basic things like navigation and dealing with traffic are real issues for me, but my group are wonderful and always keep a close eye on me. There are some great cycling groups around and once you’re in with a good crowd you’ll learn tons and gain plenty of confidence pretty quickly (although I still can’t change a tyre, can’t signal without wobbling and am still too nervous to go out on my own). Is there anything cycling wise that you want to try? 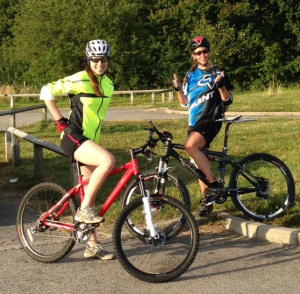 More mountain biking with more challenges/jumps/drops/tricky stuff. I need to do a sportive and a 100 miler. And a few more time trials. I’d definitely like to take my bike abroad to do some exploring. I’d also like to have a crack at a Tour de France-style set of French mountain climbs to see how far up I can get before my legs explode. Oh and I’d love to have a smash round a velodrome! Those things look incredible. So, um, basically I want to try everything. And right now, preferably.